Seattle’s next mayor will be a woman. She will have two children. She will be wealthy. 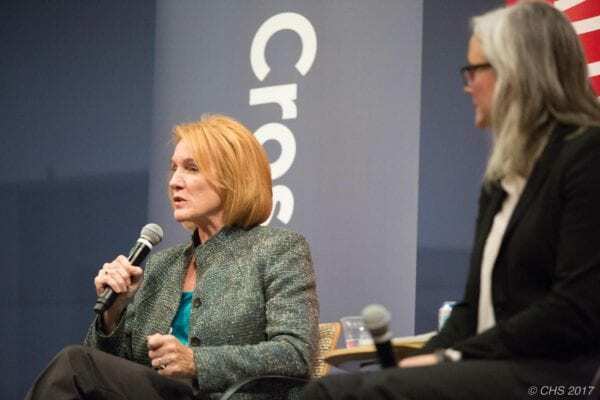 But there are, indeed, big differences between candidates Cary Moon and Jenny Durkan. Earlier this week, we made the neighborhood case for a vote for Moon. Here is why you might consider Durkan. Monday night at Seattle University, Durkan attended her fourth mayoral forum of the day. She had likely rehearsed her answers a dozen times but CHS found Durkan to prove an unexpected surprise on most topics. The former U.S. Attorney knows her stuff. Her background strikes a chord. Durkan was born and raised in Issaquah and bee-bopped around Capitol Hill for middle and elementary school. She later volunteered at an Alaskan high school for a year teaching English where she travelled by boat to small villages. Durkan also lived in Washington D.C. for four and a half years. During her time at law school, the mayoral candidate voluntarily counseled for the BlackPrisoners Caucus. She went to a defense law clinic for the poor, or the “indigent” as she called them. Durkan helped pass a nondiscrimination bill in Olympia for LGBTQIA+ rights. For three decades prior, she fought for gay men’s rights in hospitals and hospice. Durkan was also the first citizen observer on police reform. Durkan also supports safe injection sites and needle exchanges. Her time as U.S. Attorney for Western Washington made her realize the scope of the opiate crisis. Durkan says these tactics are proven and she doesn’t condone illegal drug use. Rather, she said, the strategy is harm reduction. Even more important to Durkan, however, are the services within those sites. While Durkan seems bent on smoothing the system for those facing drug addiction, she doesn’t quite take on the same gusto for sexual assault victims. 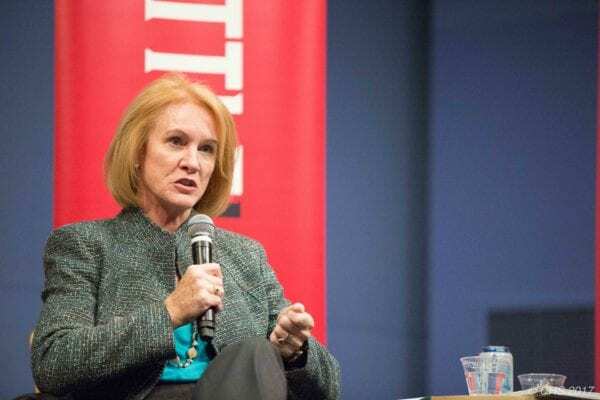 During Seattle University’s Monday debate, Durkan stood by her late resignation request for previous Mayor Ed Murray in light of the sexual abuse allegations against him. Her request was so late that it was an hour before Murray did actually step down, after five allegations. A lesbian, Durkan said the LGBTQIA+ community viewed Murray as a model for change and equality. This isn’t exactly true. The LGBTQIA+ community remains heavily divided on Murray’s place in the region’s history and the response to those who say they are his victims. Many view Durkan as the establishment candidate — although she rejects that notion — because she repeatedly states her trust in the courts. Still, she said Monday night that Seattle Police Department’s (SPD) discipline needs another look. Yet, the candidate said “we never ever would’ve used our force against protesters” as a U.S. Attorney. “Never did we use the authority of our office to go after protesters.” But protesters were put before a grand jury in 2012 for May Day vandalism. Those who didn’t talk were thrown in jail. As former Stranger writer Brendan Kiley reported at the time, one of the warrants in the case listed “black clothing, electronics, and ‘paperwork-anarchists in the Occupy movement,’” leading some to believe the case was based more on political ideology than evidence of involvement in May Day. Durkan’s firm belief in the courts and their ability to arrive at justice is troubling to some. But she acknowledges young black men are repeatedly gunned down by police, and she said she backs the sexually abused but has also stood next to the wrongly accused. How can one back a system if the system is broken, then use the system to fix itself? This is one question Durkan and her campaign continue to need to answer. Still, Durkan does seem a lot more pointed and more experienced when it comes to the job of being Mayor of Seattle.